It is always a delight to be asked to design the dresses for the whole bridal party and we were over the moon to play such a big part in Morven and Christopher’s wedding in June. Morven was an extremely busy bride- to- be, as a junior surgeon finding time for fittings in London was hard and sometimes had to be arranged in evenings and Sundays to accomodate her hectic schedule. Morven had a clear idea of the design of dress she wanted, simple, elegant and in a luxurious silk. Her blue colour scheme followed through every detail of the wedding. Her Mum wore our Audrey Hepburn style silk dress and top in Cornflower blue with matching bespoke hat and her bridesmaids coordinated beautifully in Hyacinth blue silk A line dresses with cowl necklines. The flowergirls wore dresses by Royal designer Nicki Macfarlane (a label we stock in Glasgow). It was a joy to be part of this stunning wedding. The ceremony took place in the amazing historic St Conan’s Kirk on Loch Awe http://www.stconanskirk.org.uk/ followed by an elegant reception at Inverary Castle. 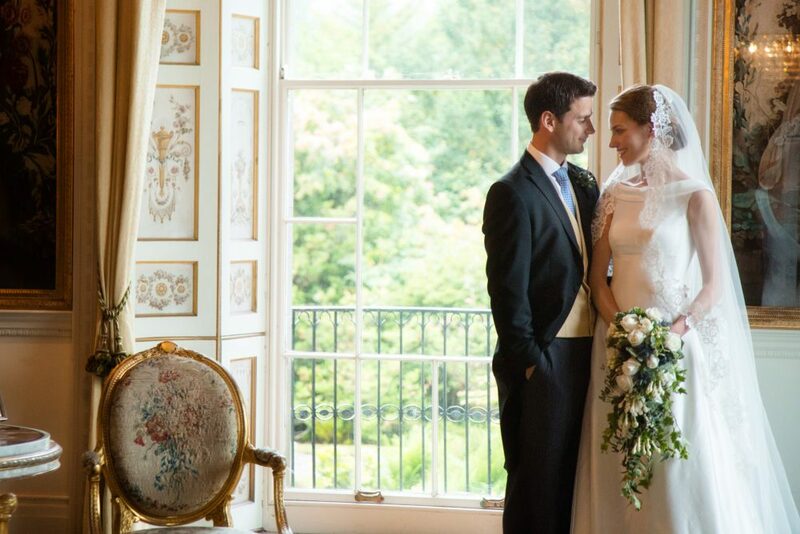 Thank you Morven and Christopher for sharing your beautiful images with us.